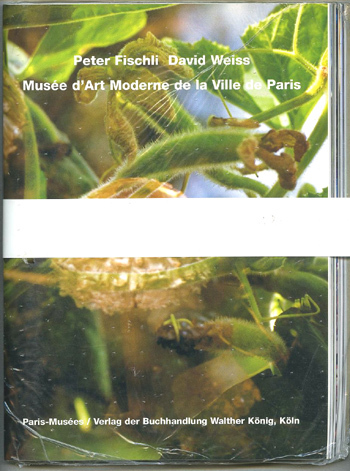 20,3 x 20,3 cm, Ottenhausen Verlag, Aachen, Germany, artists' book, SC with wrappers, unpaginated, perfect copy. book with loose hand knitted object; heart with veins! Buchhandlung Walter Koenig, Cologne, Germany, artists' book, HC - integral binding, unpaginated children's book cardboard pages, perfect copy with original drawing, 66 pp., signed and dated. 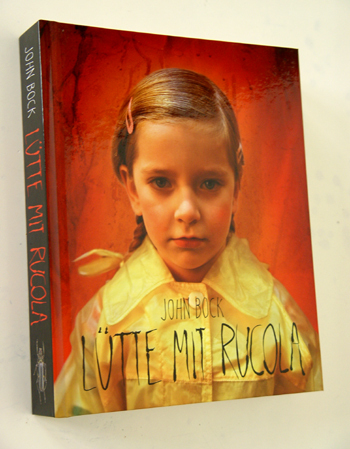 * This object in an object book is based on a film by John Bock. It is the story about an insane man who tries to find existential guidance through the humilation of another man - obviously having a financial debt - by pulling a tooth. By means of crazy diagrams attached to the human body and using the little girl Lütte as medium he believes to be able to find the right corrections and justifications. 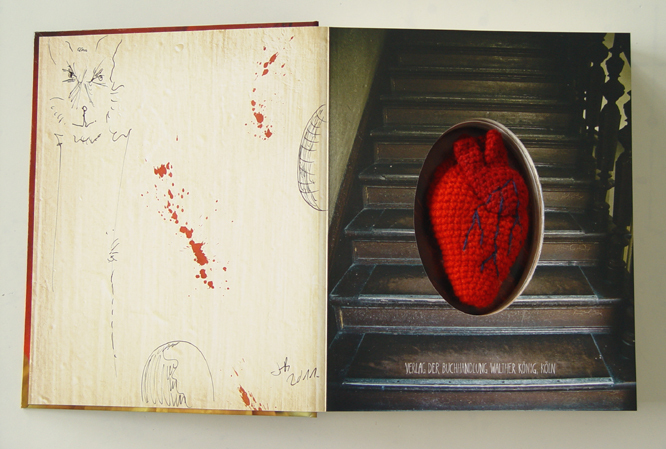 The book is designed in the style of a childrens' book with thick cardboard pages and contains a hand made knitted heart. Drawing by artist on inner part of cover. 27,5 x 21,2 cm, loose pages with original white banner and grey cardboard in center to support the heavy weight paper. 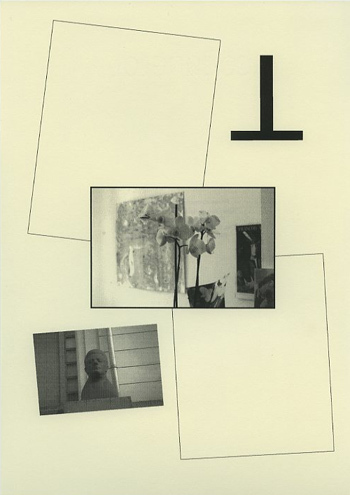 * Extremely ingenius artist book which opens as a pile of loose unbound reproductions of double photo shots of colourful flowers for many years collected by the artists. Amazingly simple artist book for breaking the rules of binding a book by keeping the pages together with a wrapper. Unhandy indeed for slippery fingers! Sealed as issued, pristine copy. Neue Galerie am Landesmuseum Joannuem, Graz. Colour and b/w illustrations, SC, 72 pp. 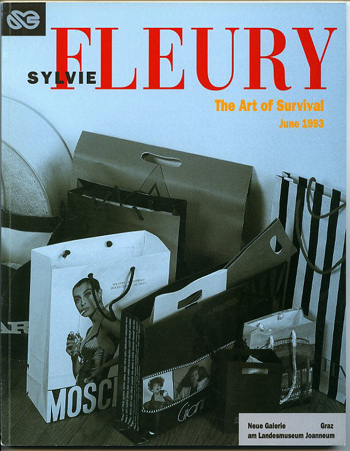 * Important and very first catalogue conceptualized by the artist as a fashion magazine and hence an artist book. The magazine includes an order form perforated in page for the 'Edition 120 - cuddly paintings' published by Gesellschaft der Freunde der Neuen Galerie in Graz. Very fine copy, apart from small rubbing at lower part of spine. Extremely rare. 20,8 x 28,7 cm. Stedelijk Van Abbemuseum, Eindhoven. Colour and b/w illustrations documenting a 20 days walking journey. 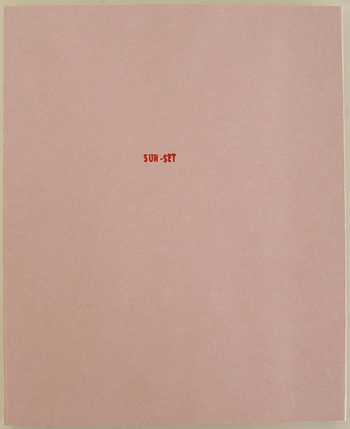 Artist book, oblong size, SC, edition 1000. Pristine copy. 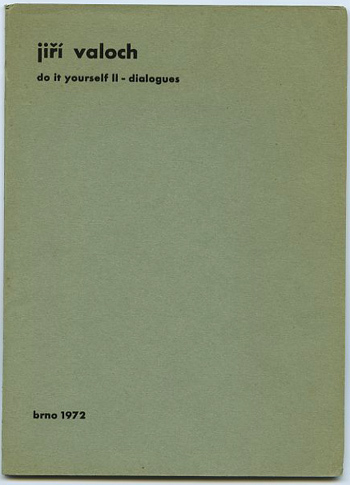 booklet, English text, Dutch translation on last page, 4pp., ill., very fine copy. signed in red felt pen ink on title page, edition nr 1162/2000, 256 pp., very good copy, apart from faded dedication on endpaper. 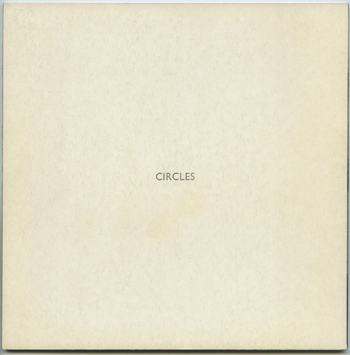 20,8 x 20,8 cm 3 b/w photo plates showing circles in water made by throwing a stone of equal weight as each page in the book. Cat. 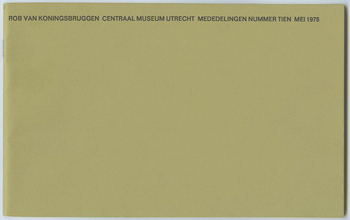 Stedelijk Museum Amsterdam, Nr 550, HC, edition 500. Good copy. 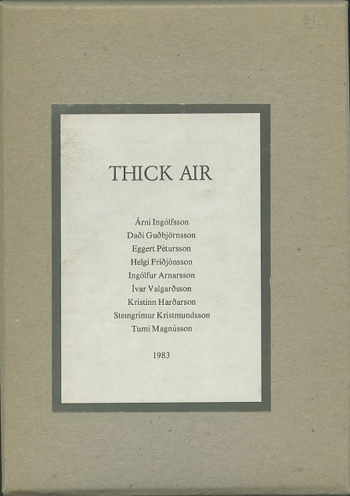 * Thin and poetic artist book. Each page is thicker than the previous one and each stone thrown into the water by the artist created apparently a different circle in the water. 14,8 x 21,2 cm, 6 books with titles in different lanuguages: English, Icelandic, Dutch, French, Norwegian and Chinese, i.e. 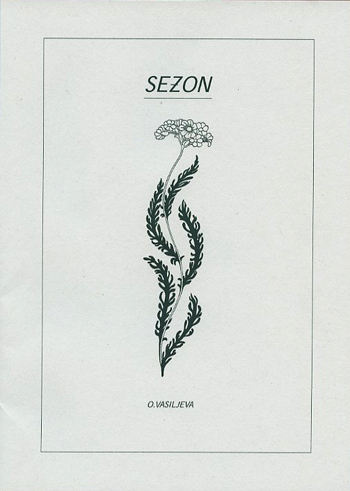 Seamsea, Saumasjór, Zoomzee, Mercouture, Sømsjø and [Chinese characters]. Drawings of emblematic sea waves on thick cardboard pages. In each book three drawings are made of blue yarn, machine sewn on each page. Hand numbered in pencil. 15 x 24 cm, 16 pp., interview by Carel Blotkamp, each publication contains a small original canvas (15 x 48 cm) with charateristic paint stroke representing a Fundamental Painting by the artist from 1975. Centraal Museum Utrecht Mededelingen, nr 10, perfect copy. 20 x 14 cm, glued book block, digital prints, limited editon of ca 30 copies, 100 pp. 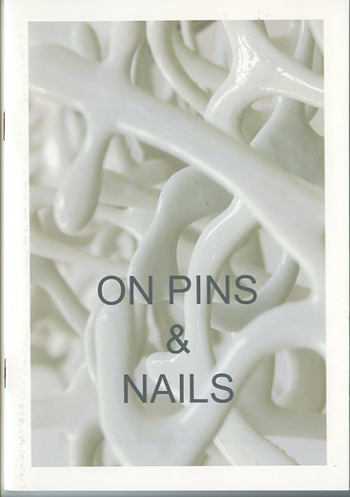 * This is a black and white picture book, in between a catalogue and an artist's book. 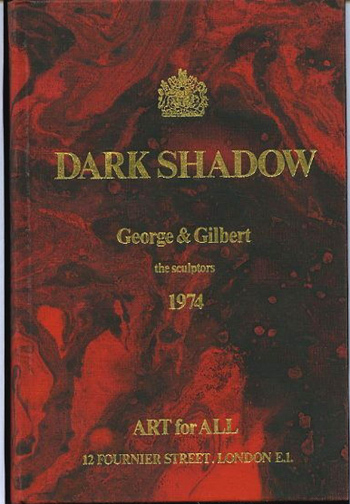 The book has been designed and images edited by the artist. * Cover text: "Last winter I came back to New York City after living five years abroad. I rented an apartment in Brooklyn and took the subway often. Everyone is in transit, except the officers. I approached one and asked him to search me." 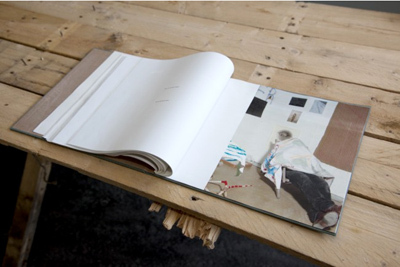 15,9 x 12,2 cm, SC, small artist's book with photos and drawings in print on Tony sleeping. Wears on cover. 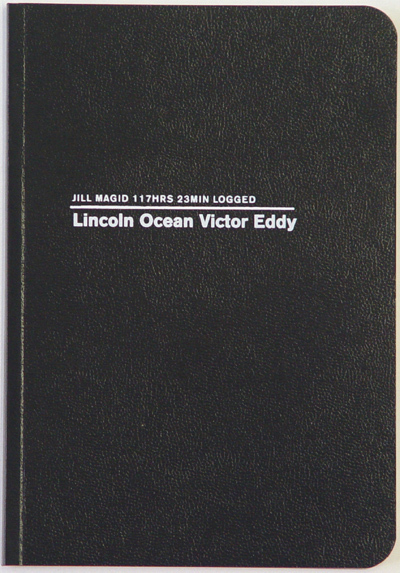 24,8 x 18,7 cm, SC, artist's book in plastic cover as issued with full page color plates, Powerhouse Books, 144 pages, edition of 3000. Pristine copy. 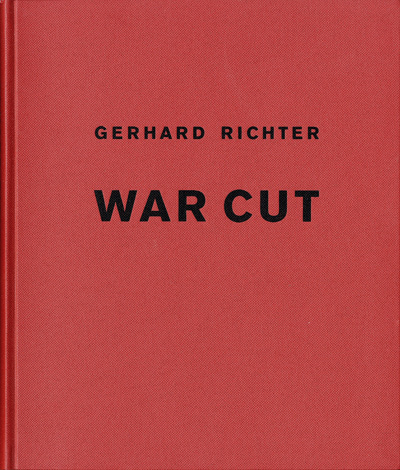 War cut, 2004, 25 x 21 cm, hard cover, numbered, edition 2400; nrs 1-200 are signed. Pristine copy. * In May 2002, Gerhard Richter photographed 216 details of his "Abstraktes Bild Nr 648-2", 1987. 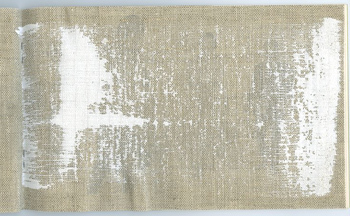 Working over a period of several weeks, Richter combined these 10 x 15 cm details with 165 texts on the Iraq war, published in the German FAZ newspaper on March 20 and 21. War Cut follows an ever denser rhythm in which texts and gaps take up the same amount of space as the pictures, creating a strictly composed work of open and closed layouts and their mirror images. 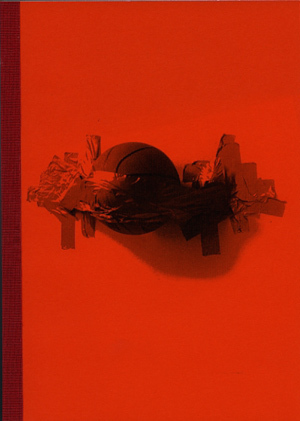 A conceptual and impressive artist's book about the war in Iraq and war in general communicated through newspapers. 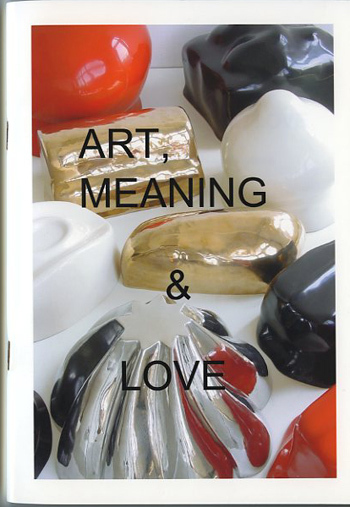 Van Sompel, 1985, 20 x 13,8 cm, hard cover, edition 300; nrs 1-300 are numbered, signed. 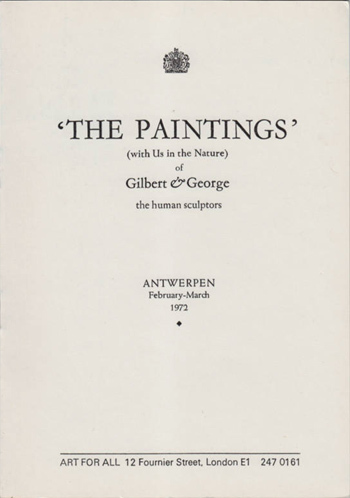 Printed on different kinds of thin and heavy paper with many tipped in colour plates; two reproductions on original blotting paper, Dutch texts by the artist, Franky D.C., Lieven Van den Abeele, Joseph Orban, Marie Charlie Wensch and Benoît Angelet, 121 Art Gallery, Antwerp. Pristine copy. 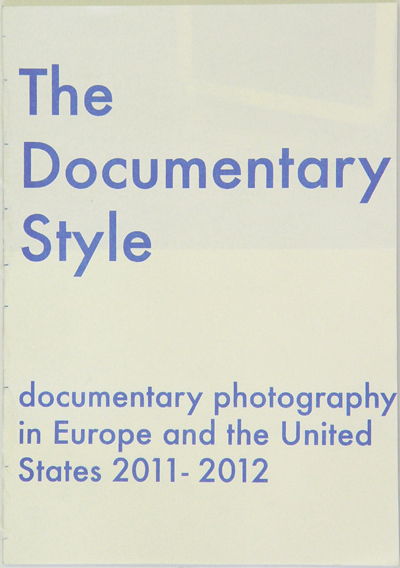 book with coloured pages, title stamped on cover, nr 38, 78 pp. 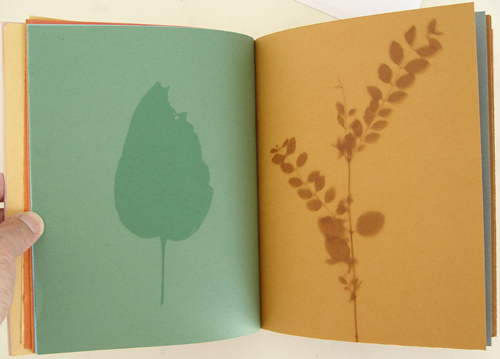 Handmade book with discoloured pages showing leaves created by exposure to sunlight. In stead of a book printed in offset the artist considers this one as being printed in sunset. So far 38 unique copies have been produced. SC, De Appel, edition 1000, 50 pp. 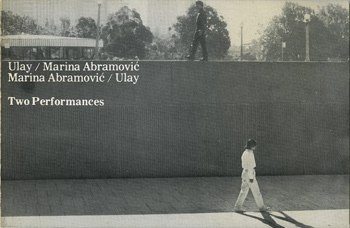 * In spite of its title this semi-artists book contains three items: two ultra short dialogues for Two Performances (Performance 21 "The Brink" and Performance 22 called "In a given space") and an extra artist book-in-the-book called Detour with conceptual on-liners put next to odd and in a mystic way commented Australian landscapes. 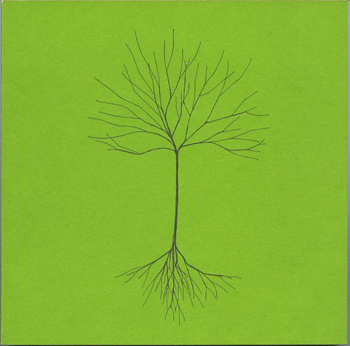 Detour is about "Exposure to chance / Extended vulnerability / Primordial soundings" as stated in the book and which is not mentioned on the cover. 2 fold folio, 9 sheets, of which one card has been partly hand drawn by the artist, number 26/100, signed. 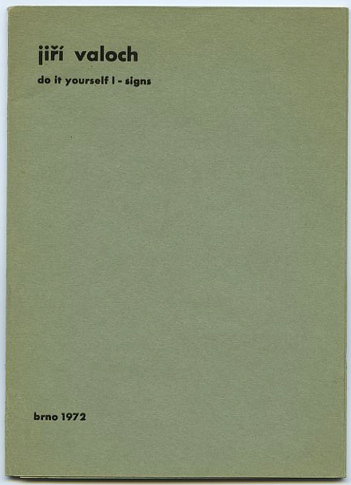 2 fold folio, 9 sheets, number 26/100, signed. silver coloured artist's book, all pages printed with blue ink, SC, edition 500. Edition After Hand, Ringkøbing, Denmark. 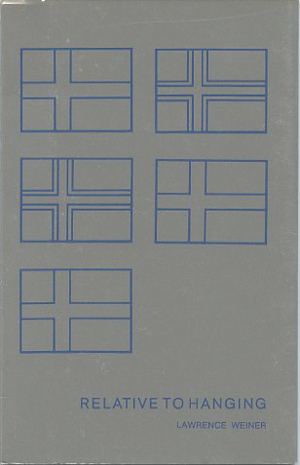 * This small booklet defines five ways of handling a national flag (of Denmark): 1. having stood for (as), 2. having stood in (as), 3. having stood up (as), 4. having stood over (as), 5. having stood down (as) and hence creating various images of how one may use a flag. In fact based how man has used a flag, e.g. in a patriotic sense, a colonistic way, a representing manner, and so on. Good copy, apart from tiny soft bending at left top of cover and price note in pencil on title page. 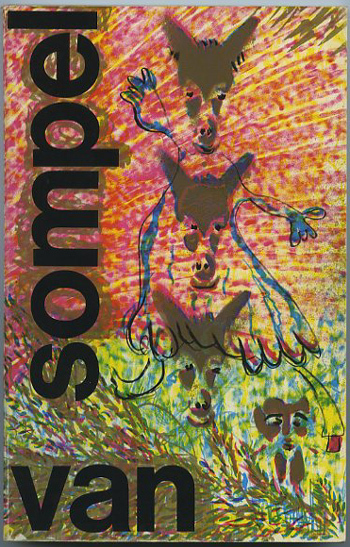 9 sympathetic booklets in cardboard box with sticker, each booklet signed by the artist, Museum Fodor, edition 250 of which 100 are signed, nr 31/100, good copy.